A quick reminder that Thursday, November 6th is our next WiN meeting. 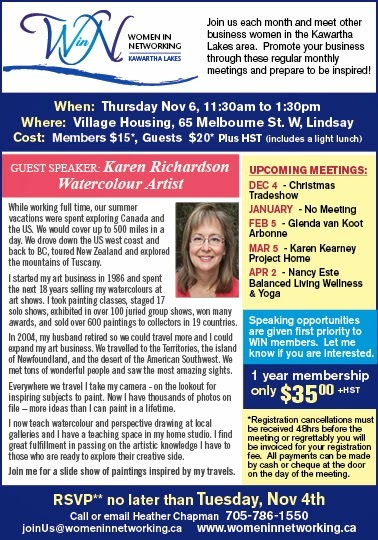 Our guest speaker is watercolour artist Karen Richardson. Full details below. Please email before Tuesday, Nov 4th to let me know if you will be attending.